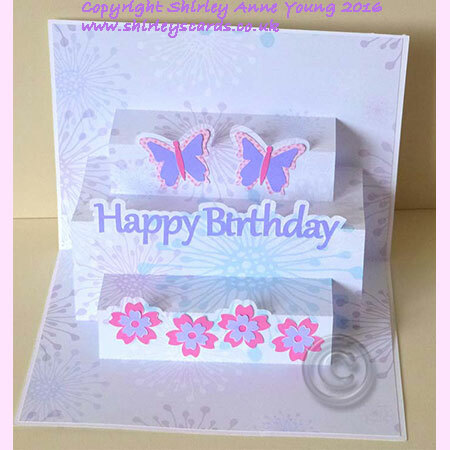 Here is a new freebie as promised and it's a Popup card. Hope you enjoy making it, personal use only and please don't share the file just link people back here to my Blog. Also would like to say thanks to every one who have left comments/likes for me both here on my Blog and Facebook page too. Much appreciated. Shirley, this is a beautiful card! Unfortunately for some reason I cannot download any of the templates thru Mediafire, not sure why. Hi Shirley, thank you for getting back with me! I used Firefox instead of Chrome and got this to download. Thank you again! Beautiful card Thank you for sharing! Shirley you are so generous with your freebies, this is another wonderful design, thank you so much. Comme d'habitude c'est une magnifique création. Merci Shirley pour ce joli partage. Thank you Shirley for a beautiful card. I love it! Thank you, Shirley, for your generosity in sharing your talent with us. You make it so easy for us to create beautiful cards. I have just found your site. What lovely cards - thank you so much for the freebies! Much appreciated by this pensioner! Thank you, a lovely idea for the inside of a card. Thank you for this! Just remember to "attach" each set together so it comes out right!